During the mid 90s a bunch activists paraded around opposing the non-cooperative laws with regards to medical marijuana. It was around this time that it was thought that Marijuana’s has medicinal properties, this resulted to the formation of Medical Marijuana Project that was founded to gain support in the public and Congress in general. This further led to studies, which were funded to test if it was true that marijuana’s had medicinal qualities. If you are trying to learn how to open medical marijuana Dispensary, it’s important that you first know the basics of how to open a cannabis Dispensary. According to 420 College you will be required to confirm with your state by-laws which oversee the dispensary’s actions. 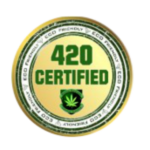 420 College recommends that you first check with the State Department of Health and Services to start with. Consider undertaking a licensing procedure. In California where they don’t restrict the number of dispensaries in a particular zone, unlike states like Delaware that are very particular on how many pot shops per a given portion of population, it’s good to have such information in your hands as it will come in handy when sizing up your competition. Making a marijuana dispensary successful will require lots of hard work plus you will be required to have a sturdy business sense and be very particular and be careful since the fine lines between legal and illegal within this niche happen to be very thin but either way this is pretty much an industry that is in its young stages and regulations are not very well clearly defined. Be aware of the certain risk factors you might be exposed to the likely hood of federal participation is very high and likely. You will learn how these fine lines are defined and how to take advantage of the immense opportunity presented to you. 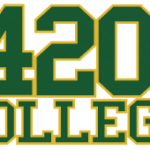 420 College will instruct you on how to open medical marijuana dispensary.